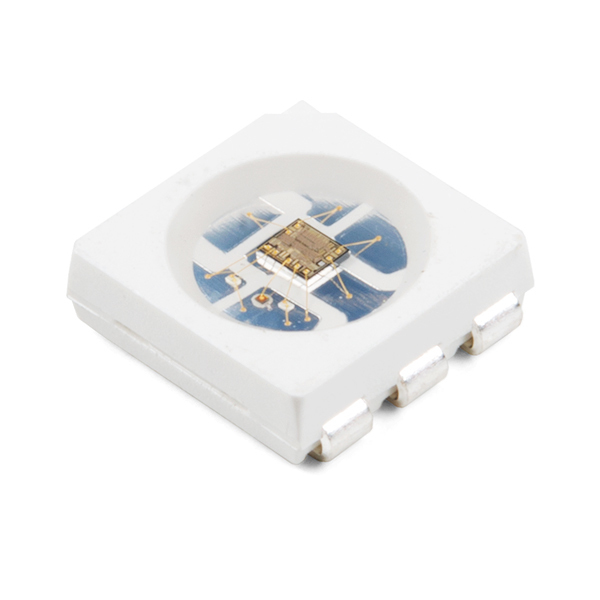 This version of the APA102C (or “DotStar”) is the regular, 5050-sized (5mmx5mm) SMD LED. With an integrated control circuit embedded, the APA102C-5050 is incredibly bright and colorful. 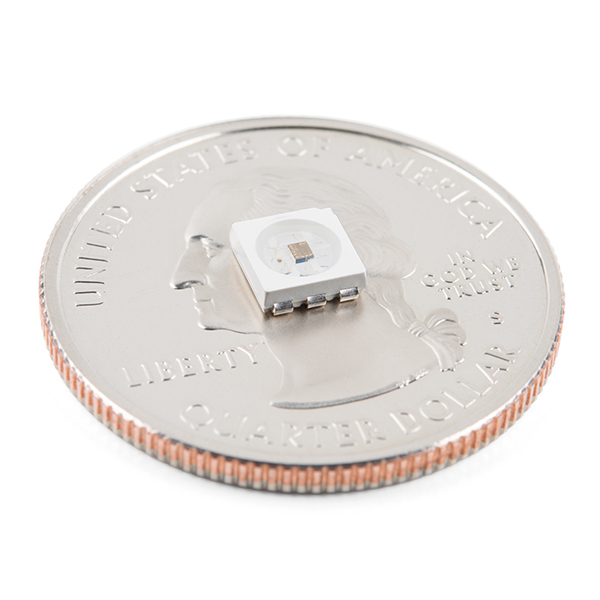 If you look really closely, you can see the tiny gold chip hidden in there, along with minuscule gold wires connecting the chip to the LED. This is the same APA102C LED found in our Lumenati line and is perfect for applications needing a lot of color without breaking the bank. 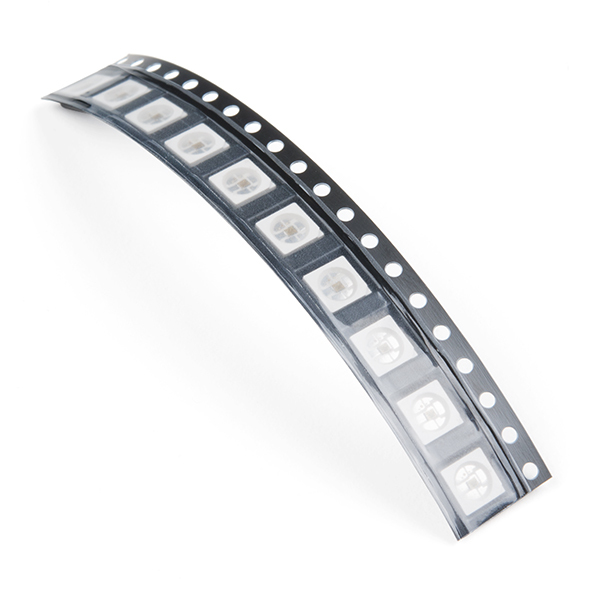 Each APA102C-5050 in this strip of 10 contains three even smaller LEDs, hence RGB (Red/Green/Blue). Since these require a bit of SMD soldering skills to get them attached to your board. it is recommended to have good SMD soldering skills before incorporating the APA102C-5050. But, hey, that's why we give you these in strips of 10! A dimensional drawing for this part can be found here. I'd love to see a small board with just one of these on it, preferably "sewable", something similar to Adafruit's PID #1260 that uses NeoPixels.